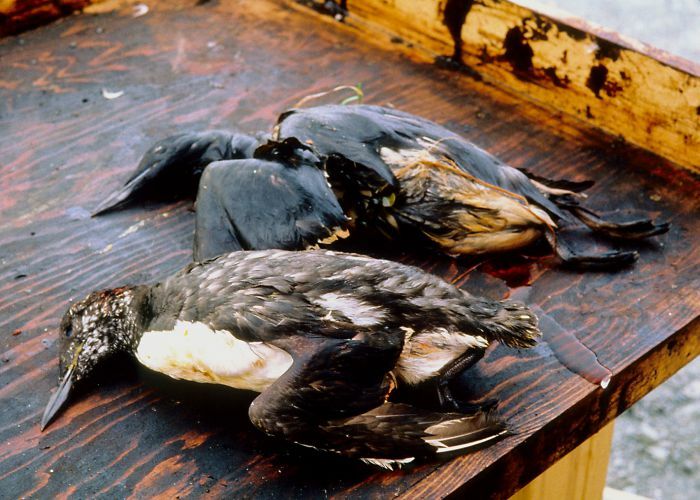 Former Vancouver politician: "Nothing's changed since 1999 canola oil spill in Burrard Inlet"
Shortly after beginning my term in municipal politics as a Green at Vancouver Park Board in late1999 there was a spill of canola oil in the Burrard Inlet. As with the recent spill, the responsible federal and provincial authorities delayed and bickered over chain of command, who was to do what etc., despite this being clearly laid out in legislation. In the end our municipality of Vancouver responded, using municipal and other resources that despite bureaucratic and legal efforts have not been fully recovered. A largely volunteer group of concerned citizens organized to save oil damaged wildlife, led by the Wildlife Rehabilitators Network of BC and member groups and volunteers, generously funded by donations from private citizens, businesses, and non-profits. With one call to the Canadian based International Fund for Animal Welfare they immediately donated $10,000 to the rescue effort, which was directed to the Wildlife Rehabilitators of BC account. The Pacific National Exhibition generously donated a large space for us to do the bird cleaning and place the recovery pens and pools. Local businesses and individuals donated supplies, food, and water to keep the volunteers fueled. IFAW, realizing there was a deficit of trained oil spill responders later funded more training when the operation was completed - so there would be more people trained for the next spill. It was an exhausting, heartbreaking experience to see first hand the needless suffering of the animals, and it infuriated many of us that those mandated to deal with the spill derelict in their duty. Follow-up studies showed only a small percentage of the oil spilled was actually recovered, and although canola oil is not as toxic as bunker oil it continues to kill marine life where it lies deep in the Burrard Inlet all these years later. In all, conservative estimates placed bird deaths at 2,500. One can only wonder if this is weak, delayed, and insufficient response is all the authorities will muster in a populated, well-resourced area - just what happens in remote areas where there are less eyes to see the devastation, and the effected communities (usually rural resource based and first nation) are those whose needs and rights are traditionally ignored by provincial and federal governments? 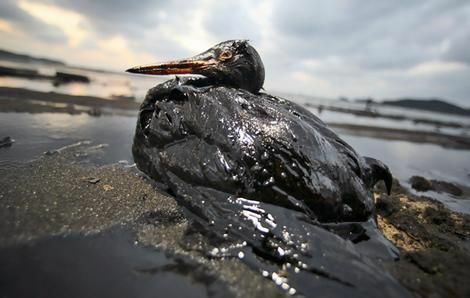 The general practice of downplaying, underreporting, and not reporting oil spills is largely due to a culture of profits first, public good last, and the lack of governmental oversight and funding for oversight. This has left the environment vulnerable to big polluters with deep pockets and a habit of making large political campaign donations to the parties in power. Our beautiful province and all its wild inhabitants are at risk of contamination, illness, and death. Those who survive face loss of food sources and homes. Entire populations, ecosystems, communities and economies are destroyed. Cultural survival of first nations communities is at risk as they can no longer survive off the land in a poisoned environment. In an oil spill less than 1% of those birds, mammals, fish, crustaceans and myriad other creatures injured by toxic oil spills will survive. Only a fraction will be treated and released successfully by wildlife rescue volunteers. Many are beyond reach of help either physically or medically due to the devestating penetrating effect of oil on their bodies, causing suffocation, organ failure, hypothermia, and death. Those oiled birds and mammals treated by rescuers are the lucky ones who have a chance. For each oiled animal that reaches help in time there are hundreds who do not. This avoidable catastrophe plays out the same every time because legislating and enforcing higher standards of environmental protection on big oil comes with a political price to pay for those who enjoy the well-padded campaign funds at election time, or perhaps have personal financial interests in big polluters themselves. On site oil response costs money, and, looking back on previous spills, there is a pattern of the relevant authorities only paying up when forced to do so by the courts, a process which takes time and money. The individuals who suffer most from the spills are those who live in the environments effected - the birds, the animals, the fish, the plants, the insects, the reptiles and amphibians, and all manner of little creatures in the chain of life. Resource based communities, many small and isolated, are heavily impacted. Many of these are first nations. When you consider oil spill response times, think of how long you can hold your breath as your gills fill up with oil instead of oxygen? How long will you survive in the cold waters of the Pacific as your feathers lose their waterproofing due to the oil, and you feel the cold water leak in to your skin? How long will you last as your oil-matted fur no longer provides any protection from the cold air and water, and as you struggle to clean yourself you are sickened by swallowing the poisonous oil? Think of this as days go by and the animals continue to die, their lifeless bodies washing up on the beaches, a testament to our lack of consideration of others. While we humans go about our daily business, eat, sleep, socialise...others who are but of a different species are denied their very right to exist - a home, food, life itself. Our natural heritage is being stripped away, creature by creature, tree by tree, river by river, culture by culture, language by language, until we will have nothing but devastated coastlines, forests, ecosystems, societies, and economies. The bank accounts of the rich and powerful will continue to overflow on the backs of defenceless living creatures as our environment is destroyed by big business. The cost is too high. The loss of a healthy environment, sustainable economies, and cultural survival is too high a price to pay to satisfy a small economic group. As a Canadian I reject the current economic and political model and demand a government at the service of the people and nature. In Bolivia, a South American country led by populist indigenous President Ivo Morales, the right to live, to exist, for all living creatures, is enshrined in the national constitution. Canada, in stark contrast, is busy shoving through Bill C-51 which will classify as terrorists all those who defend the earth. The federal non-action to this oil spill, is on the face of it but a symptom of a greater malady. If the current state of Canadian politics continues on this path we can expect to see more of our precious wildlife and all that we hold dear destroyed on the altar of "profit above all".